The mayor of Seoul has announced he’ll be shutting down all dog slaughterhouses in fantastic news progressing the fight for fair and humane treatment of dogs in South Korea. Park Won-soon has vowed to close all dog butcheries in the city, making the announcement to an audience at the weekend after a screening of an animated film called Underdog. The film narrative sees abandoned dogs find themselves in the Demilitarized Zone (DMZ) between North and South Korea. The mayor said he went to see the film to ‘find a way to raise the adoption rate for stray dogs’ and promote a campaign encouraging people not to abandon animals, The Korea Times reported. Each year, 8,500 dogs are abandoned in Seoul and a quarter of them are euthanised because they’re not adopted, he told the crowd. This comes after the breakthrough closure of a dog slaughter complex in Taepyeong-dong, Seongnam city, south of Seoul, which is said to have housed at least six slaughterhouses which could each hold hundreds of animals at a time. The facility was one of the largest suppliers of dog meat for restaurants across the country. 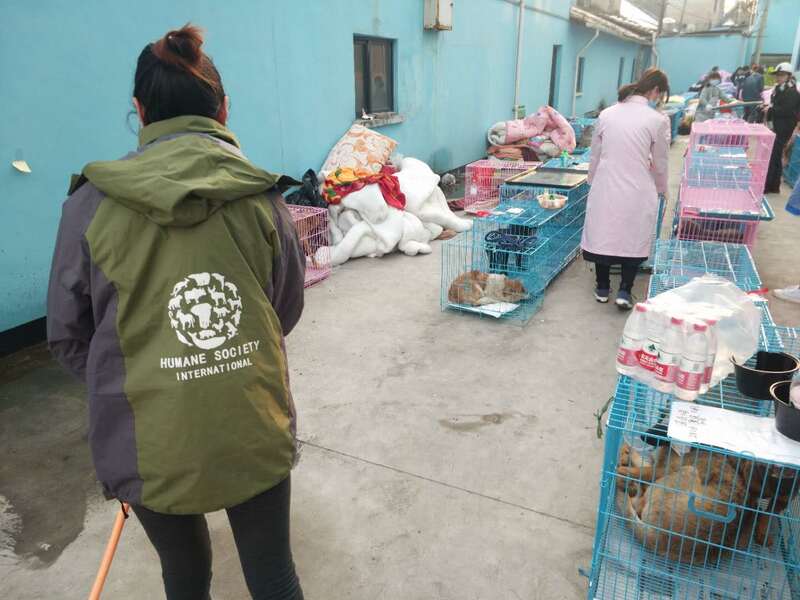 Wendy Higgins at HSI United Kingdom, who’s attended five of the charity’s dog meat farm closures, said this was starting to feel like the beginning of the end of dog meat in South Korea. Shutting down Taepyeong dog slaughterhouse was full of mixed emotions for our team because on the one hand it was a thrill to watch such an horrendous place be bulldozed, along with all the killing equipment we found inside. But on the other hand it was chilling to walk through such a dreadful place of death and suffering and to think of the poor dogs who will have had their terrible last moments there. At the demolition site there is a real sense of excitement, with local residents coming out to thank us for destroying the facility because for years they’ve endured hearing the screams of suffering every morning from the dogs inside. We hope this is the first of many more such closures across the country, it’s certainly starting to feel like the beginning of the end of the dog meat industry in South Korea. Eating dog meat is quickly declining in popularity, particularly in South Korea among younger consumers. In China, a country often stereotyped alongside the practice of eating dog meat and animal cruelty, the story is much the same. 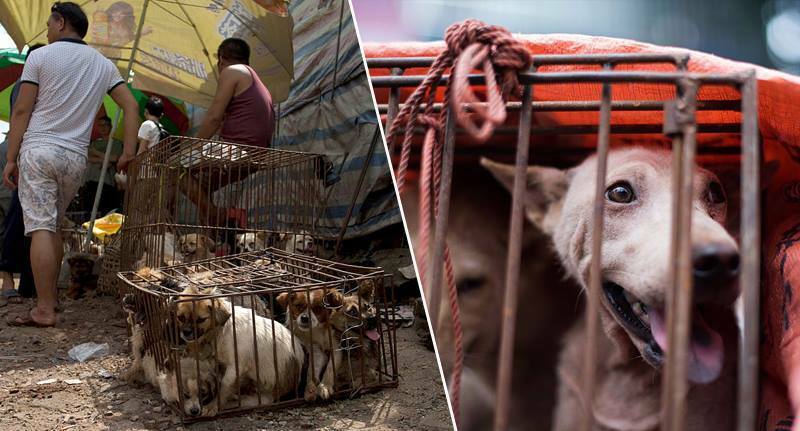 A spokesperson from the Capital Animal Welfare Association (CAWA), HSI’s Beijing-based partner group, told UNILAD dog-eating is ‘a bad habit among a small number of people‘ dubbed ‘thugs and low-lives’, feeding into the practice of stealing domestic pets for the meat trade. Sean, a 34-year-old Chinese animal rights activist who works with HSI on the ground, describes his ‘anger and frustration’ at the cruelty. We are called ‘dog lovers’; a negative term in China meaning ‘people who love dogs over people’. We don’t. We simply believe that dogs suffer at the hands of people and they deserve to be treated with respect and compassion. Anyway, promoting kindness to animals is also at the same time helping people because being kind brings out the best in people too and makes for a better stable society. Hear, hear! Let’s hope the rest of South Korea follows suit in the footsteps of Seoul.